Designing a website can be intimidating, and you might not even know where to get started. Unless you have years of web development, you’re likely to turn to a website design platform, such as Shopify or Squarespace. Shopify and Squarespace are two of the leaders for custom websites and online stores. Both offer a full suite of options for building a website from the ground up. But which site should you choose? Here, I’ll walk you through the main features of both sites and how they compare to each other to help you find the right platform to start building your website. 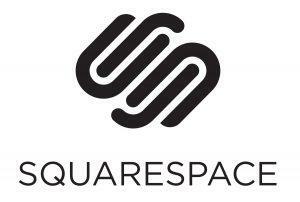 Squarespace is mainly set up to deliver information. If you want your website to be designed around providing users content and information, presented with beautiful interfaces and images, then Squarespace is one of the best options out there for you. Its functionality is centered around making stylish and easy to navigate websites. 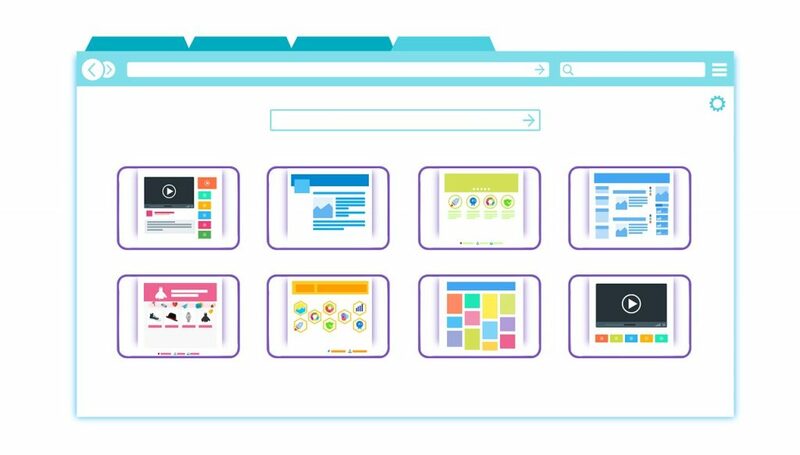 It has loads of different templates that will help you get your website up and running with a full-feature set. If you have web design experience, it’ll help you make the most of Squarespace. But if you don’t, you shouldn’t break into a cold sweat. Squarespace is built for users of all different backgrounds and is accessible no matter how little web development experience you have. If you are a more experienced web developer, you can opt for the more feature-rich developer platform. This allows for a level of customization that is beyond what a lot of users will need but should be considered if you are an experienced web developer. Squarespace has its limitations, especially if you are using the basic version. The templates, while well designed, can’t always be customized to the extent some users may like. You may like half of one template, but want to incorporate some features of another template, only to find Squarespace won’t allow you to make the changes to either template. That said, most users still find enough variety with the templates to keep them happy. Some are more customizable than others, so you should be able to find one that works for you. And it should be stressed that these templates are excellent. Unlike Squarespace, Shopify was designed from the ground up to serve as a platform for e-commerce sites. Because of that, they are geared towards offering all of the features big online stores need to smoothly and efficiently run their business. With Shopify, you can easily buy a domain and have a functioning online store. Like Squarespace, they offer plenty of templates so that you can have a professional site without months of web design. But unlike Squarespace, Shopify is centered around building an online store. What About Shopify For My Website? While you could design a content website with Shopify, there’s not much that they can offer that Squarespace doesn’t, and a lot that you won’t be able to do for your website. Shopify was designed first and foremost to serve as a platform for online stores. It would be possible to design a non-retail site with Shopify, but there wouldn’t be much of a point in it. The platform is designed to host an online store. You’d be wasting your money and missing out on other features that are available on platforms oriented toward content-based websites. If you’re looking to build an online store, the decision won’t be so simple. Shopify doesn’t work as well for information sites, but Squarespace can be used for building your online store. If you’re building an e-commerce business, both Shopify and Squarespace are options you should consider. The feature sets of Shopify and Squarespace don’t overlap completely, and one does some things better than the other. I’ll walk you through the basic features of both Shopify and Squarespace and then compare the two services so that you can decide which is right for your business. If you want to use Squarespace for your online store, you should be aware of the different subscription plans and what they offer. 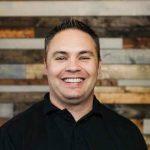 The “Basic” and “Advanced” plans are both designed specifically for users who want an online store as their main focus. The “Business” plan allows you to sell, but is geared more towards a website that is based around content, with the store as a secondary add on. If you’re looking to run a serious online store, the two most expensive Squarespace plans will give you a lot of good features that are easily accessible (though, as we’ll see later, they aren’t as fleshed out as those found with Shopify). Shopify has more options to choose from than what you’ll find on Squarespace, and the price range is much wider too. That being said, most users looking to start an online store won’t want “Shopify Lite” or “Shopify Plus,” so there are really three main options to consider when using Shopify. The “Lite” plan won’t give you much in the way of features, and you can’t actually build a dedicated online store through Shopify. Instead, it allows you to add store features to an existing website. 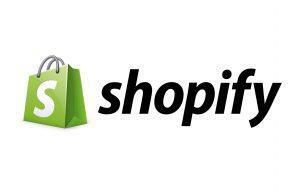 The “Shopify Plus” plan is designed for major retail companies who need a lot of support for their e-commerce operation. If you are running an online store as an individual, it’s unlikely you’ll need this plan or want to pay for it. When choosing a website for your online store, remember what each was designed for. Squarespace is made for content and information delivery. It’s strength lies in its simple layouts and easy navigation, helping you build a visually striking website. Shopify was built to handle serious e-commerce operations. A lot of their clients are major companies who need a lot of high-end analytics and third party integration. They put functionality over aesthetics and design, with a focus on smooth online transactions. 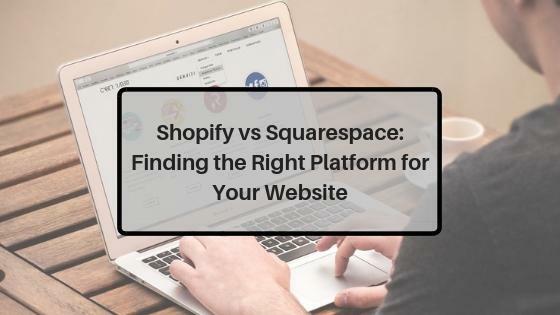 Here, I’ll compare Shopify and Squarespace to see how they stack up as platforms for e-commerce. 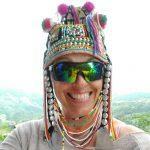 If you are selling from or to many different countries, be careful with the service you choose. Shopify offers an integrated payment processing system called Shopify Payments that eliminates processing fees altogether (although there are still credit card fees). However, Shopify Payments can only be used in certain countries. Although Shopify Payments is not available everywhere, Shopify still allows third party payment processing. There are over 100 different payment gateways for Shopify, meaning that you can sell from just about anywhere. Squarespace is much more limited. They do not allow third party payment processing, instead only using Stripe and Paypal. Stripe only allows you to sell from a limited number of countries (although you can accept payments from anywhere in the world). What this means is that Shopify has more flexibility to accommodate sellers from more countries. If you are located outside of the countries supported by Stripe, Paypal will be you only option on Squarespace. If you choose Shopify, you’ll have over 100 options to process your payments. If you’re looking to run a basic but fully-functional online store, which should you choose? Consider the plans the two services offer. The “Business” plan from Squarespace will cost you $26 per month, but you won’t get features such as label printing, accounting, or e-commerce reports. The “Basic Shopify” plan costs $29 per month. This plan, like Squarespace’s, does not offer all of the reporting features found in the more expensive plans. However, it still offers bare bones analytics that are more useful than what you’ll get with the comparable Squarespace plan. For the more expensive plans, Shopify really begins to run away from Squarespace, giving users a suite of features that Squarespace just can’t match. I’ll go into more details on this later. 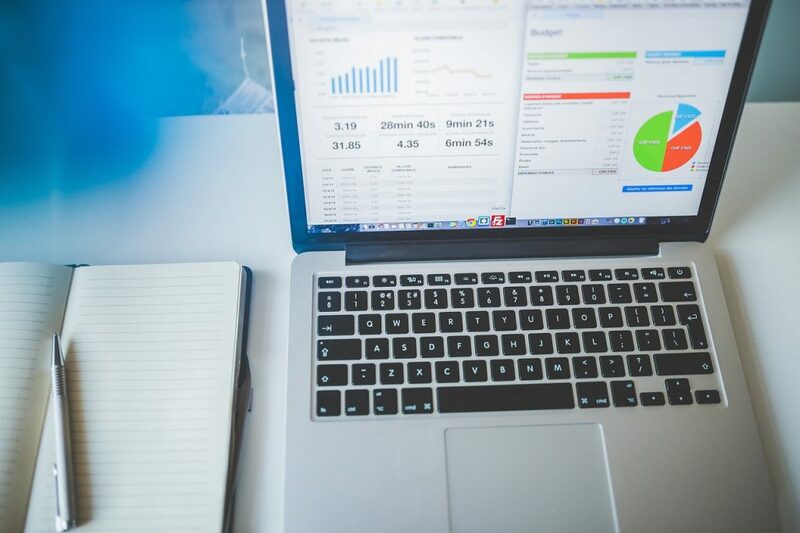 The suite of analytic tools that are offered by Shopify far outpaces what you’ll get from even the most expensive Squarespace plan. Finance, sales, customer, and behavior reports are all available, starting with the “Shopify” plan and up. These can all be tailored to create custom reports. Squarespace offers reports in their two most expensive plans, but they simply do not have the range or depth of those offered by Shopify. Squarespace’s expertise is in designing beautiful websites, and it shows with their templates. With nearly 100 to choose from, you’ll have all the flexibility to design your website to your specifications and needs. As we’ve mentioned, customization can be lacking. But the sheer variety of options keeps this from being an issue. And Squarespace easily allows for video background integration, which can lead to some really visually striking pages when used well. Shopify is no slouch when it comes to making a pretty page, but they lack some of the rich design and elegance that you’ll find on Squarespace. They only offer 10 free templates (although they are well-designed), meaning you won’t have as many included in the price you pay for the service. However, unlike Squarespace, Shopify offers a template store, where you can choose from 60 different themes, each of which has additional variations. This gives Shopify a lot of customization, although you will have to pay for it. Most users will probably prefer Squarespace here, but Shopify offers enough that they are competitive. Another area where Squarespace beats out Shopify is product images. Squarespace use their expertise with handling images to display images of all different sizes and resolutions for your products. Shopify doesn’t have bad product displays, but they can get clunky at times. If you use different photo sizes, the items can appear out of sorts, and you may have to manually go in and correct them. If you have a large inventory, this can be a real pain. You may want to use blog posts to drive interest in your products and keep people coming back to your site. Fortunately, both services offer excellent built-in blogging support that allows you to easily add content to your site and give a boost to your brand. Here, Squarespace outshines Shopify and brings their experience as a designer of content providing sites to seamlessly incorporate blogs into your online store. You’ll get better navigation and more flexible integration of the blog content into your site’s overall layout. That said, Shopify’s blog options are well designed and easy to implement. If third-party integration is important for your online store, then you’re probably going to want to choose Shopify. With an app store that has thousands of options for third-party integration, Shopify easily lets you work with other platforms and websites. If you have web development experience, you can do some of this yourself in Squarespace. But Squarespace simply can’t compete with the wide range of third party integration found on Shopify. Shopify has some of the best support out there. They offer the standard live chat and email support common elsewhere, and also found on Squarespace. But, crucially, they offer phone support. This may seem like a minor addition, but it really helps when you need a technical problem resolved. And don’t forget you’re paying a lot of money for these services. You deserve good technical support, no matter when. So, Should I Choose Squarespace Or Shopify? By now, you should see that the two websites are very different, with their own strengths depending on what you need. Shopify or Squarespace? That depends on what you’re trying to build. Squarespace is one of the best choices out there for building a clean, easy to navigate, and beautiful website from scratch without web development experience. And the sites really are beautiful, offering a range of styles that you just won’t find with other services. If that’s what you want, then go for Squarespace. There’s no reason to use a platform that’s built for e-commerce if you’re not selling anything on your website. If you’re looking to build a fully functional online store, you should lean more towards Shopify. When it comes to the comparable introductory online store plans of the two services (“Business” and “Basic Shopify”), Shopify edges out Squarespace. Even with its basic plan, Shopify offers more than Squarespace. The prices are comparable, and Shopify’s plan has better analytics and a better interface for customer data. Once you move to the more expensive plans, Shopify begins to add so many features that it really runs away from Squarespace. Integrated payment processing, customizable analytics, third party integration, and better SEO functionality. Squarespace just doesn’t have this much depth. So, who should bother with Squarespace for an online store? It’s best for those that are looking to make a beautiful content-based website with included store functionality. Since selling volume will be a bit lower, missing out on the added analytics and better payment processing won’t be much of an issue. If you’re main goal is to show off your website, rather than sell products, Squarespace will give you all of the bells-and-whistles you’ll need to impress and enough functionality where you can still have a working online retail business attached to your site. These are two of the best web design platforms available, but they should be used in a way that plays to their strengths. If you want a pretty site, stick with Squarespace, and you’ll get just what you’re looking for. And if your first priority is to use your site as an online store, you’ll probably gain more from working with Shopify.